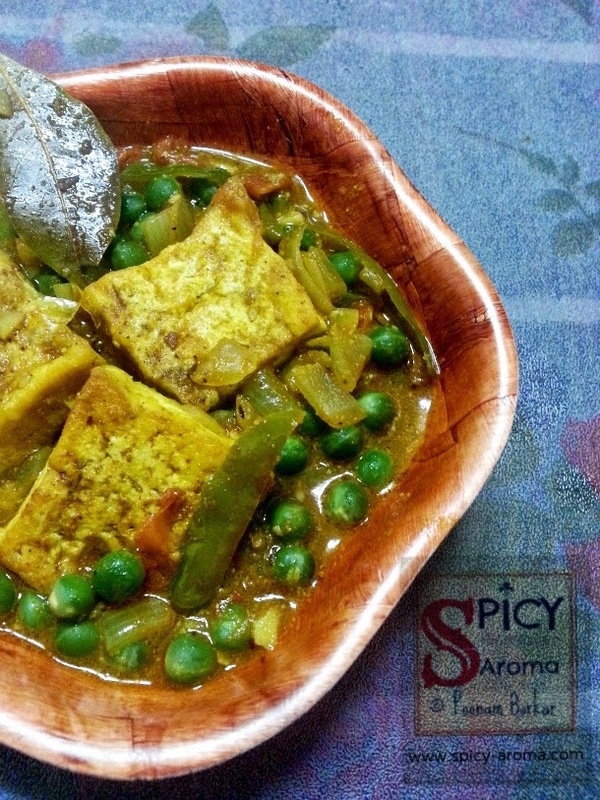 How to make Tofu and Green peas Masala? 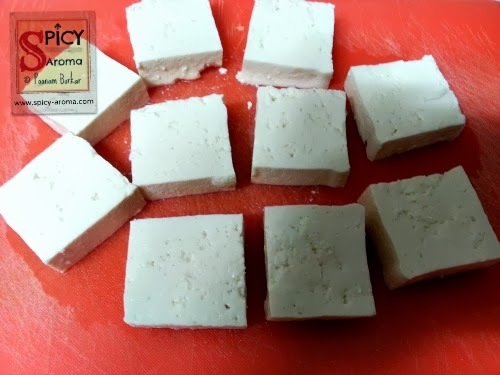 Cut Tofu into pretty big chunks. 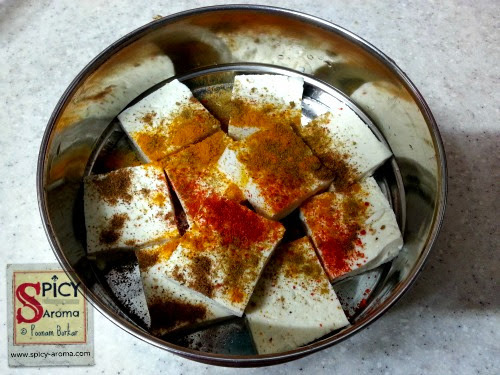 Don’t make small pieces; otherwise they may dissolve into curry. 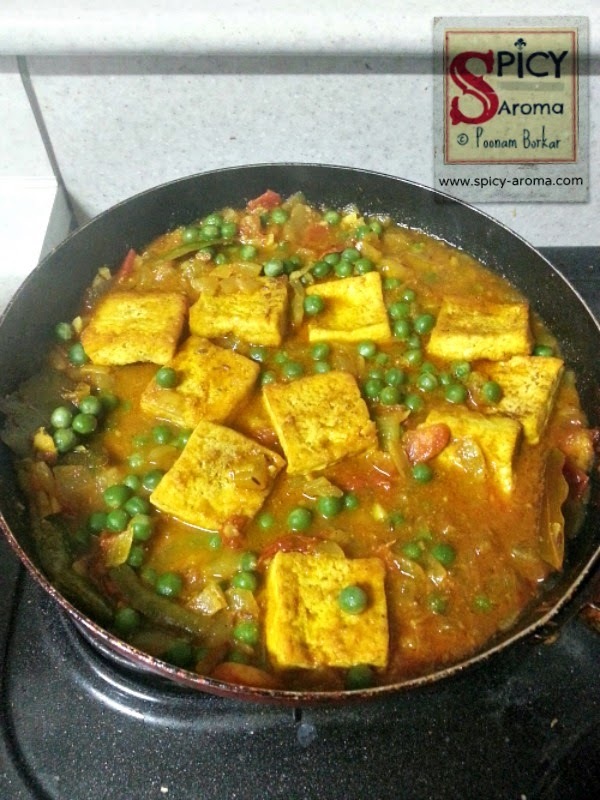 Add all spices mentioned under ‘Masala for tofu’ and mix. Keep them aside for 5 minutes. Meanwhile cut the onion and tomato. Mince the ginger-garlic and slit the green chili. 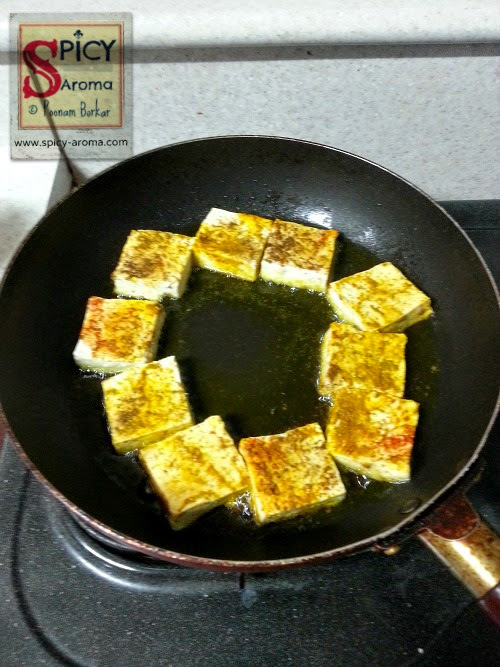 Heat 1 and 1/2 tbsp of oil in a pan and fry tofu nicely until golden brown from both the sides. Remove them onto paper towel. 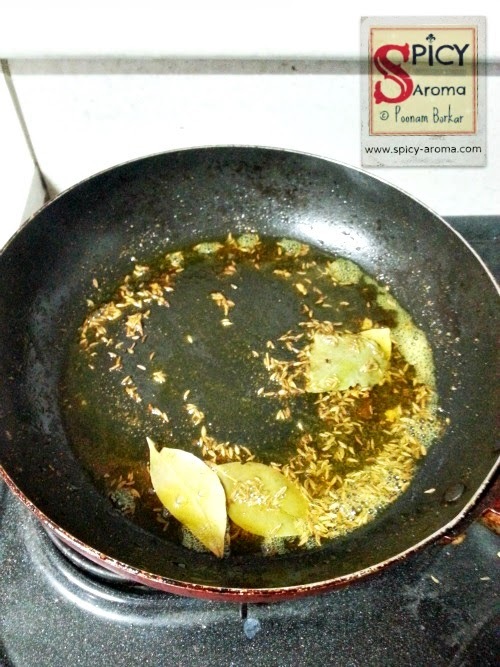 In the remaining oil, add bay leaves and cumin seeds. Let them splutter. 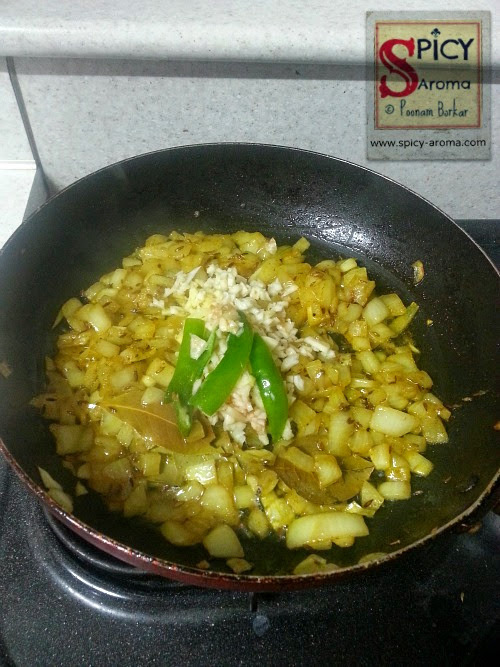 Add onion, turmeric powder and salt to taste. Mix and sauté till translucent. 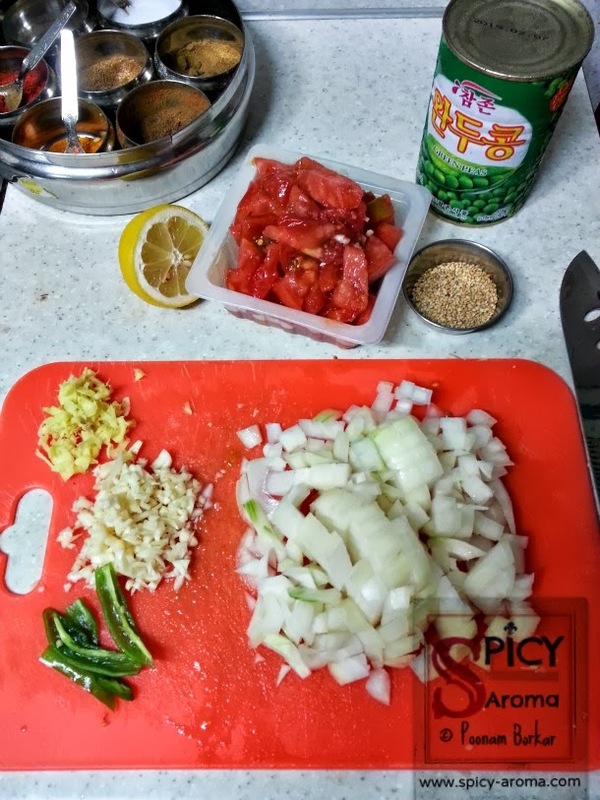 Then add ginger, garlic, and green chillies. 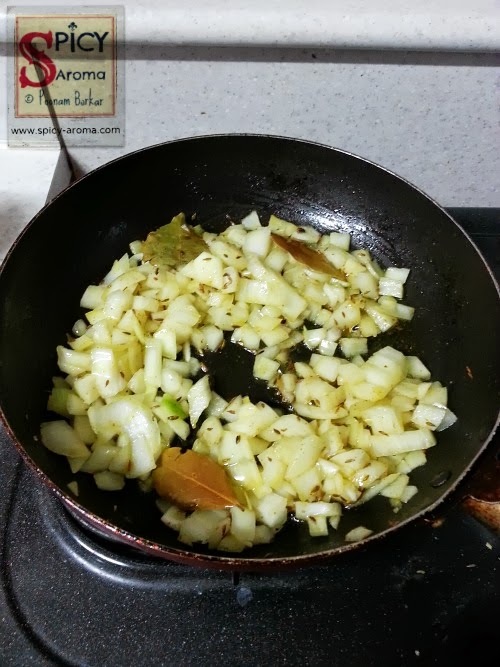 Sauté till raw smell from ginger-garlic goes away. 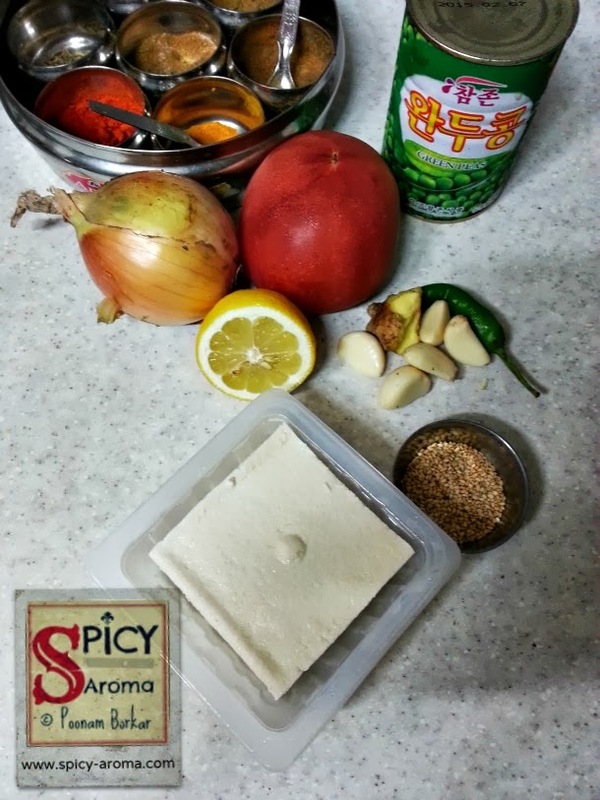 Add tomato, red chilli powder, coriander powder, and garam masala. 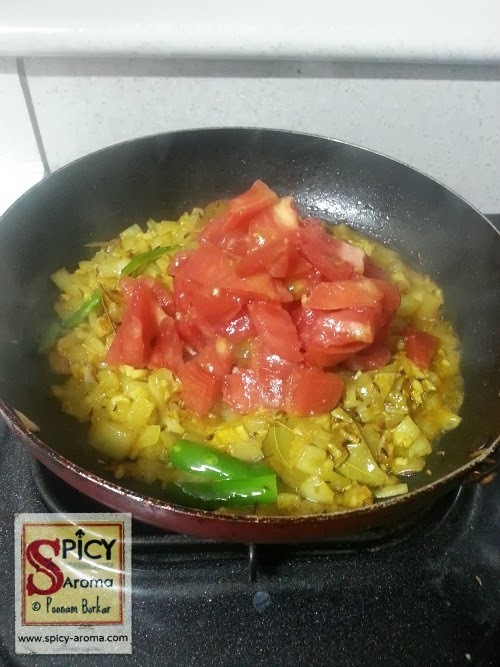 Mix and cook until tomato gets mashed up with onion and oil starts to leave the masala. 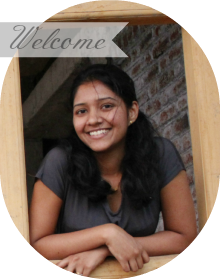 It may take around 8-10 minutes. Meanwhile, grind roasted sesame seeds to a coarse powder. 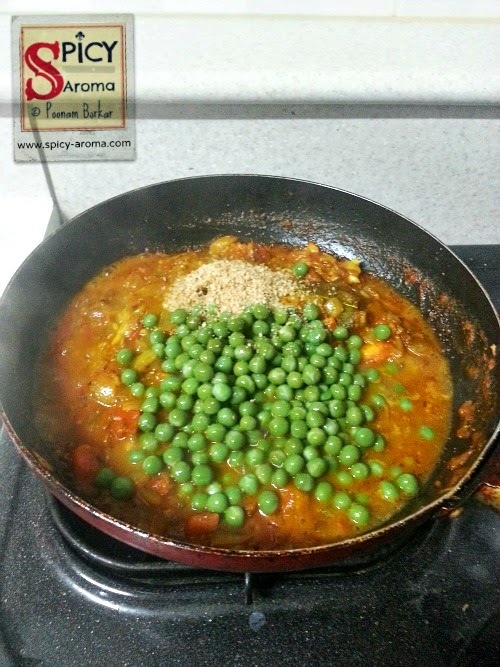 Add frozen green peas, roasted sesame seeds powder, lemon juice and mix well. 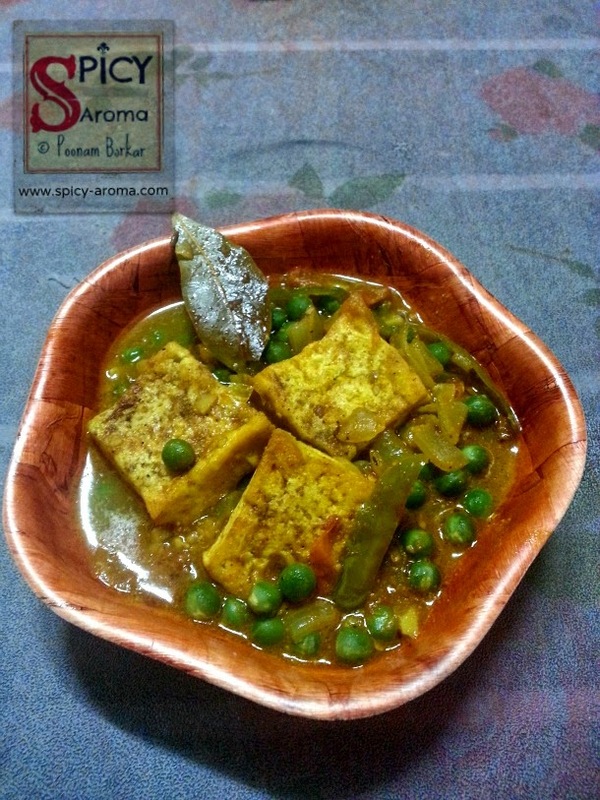 Cook for a minute and add fried tofu. Cover and cook for a minute or two.